The Indigenous People of Biafra (IPOB) has accused the chief executive officer of Facebook, Mark Zuckerberg, of helping President Muhammadu Buhari to continue the mass murder of innocent Biafrans. IPOB spokesman, Emma Powerful, who made the accusations in a statement on Saturday, October 29, also alleged that Zuckerberg removed the radio Biafra Facebook group, London, from the social media platform on the instructions of Buhari. “Radio Biafra London before its shut down by Zuckerberg who visited Buhari recently, was the biggest and most vibrant discussion forum on facebook with nearly 1 million members,” Powerful said. “Why a man whose family benefited from the freedoms and opportunities the land of the free USA had to offer can turn around to brutally suppress freedom of speech and expression is beyond human understanding. The group said Facebook had made itself the wiling tool of “repressive regimes and psychopathic murderers in power such as Major-General Muhammadu Buhari the Nigerian ruler”. IPOB warned Zuckerberg that he had sided with the devil by cutting a deal with Buhari, noting that it was the day that he made the deal with president that his Facebook satellite was destroyed at the launch pad. The group described the destruction of the Facebook satellite as the handwork of God, warning that Zuckerberg will face divine retribution for siding with Buhari. “The God we serve will set an example with you that mankind may know that HE is the God of Biafrans. If you do not turn back from your evil ways. “Look at Nigeria today and know that God’s anger is upon her and her leaders because they dared to arrest Nnamdi Kanu. Satlink Israel lost their satellite because Buhari persuaded them to remove Radio Biafra satellite radio broadcast from their services. “Nobody comes against IPOB and survives it. 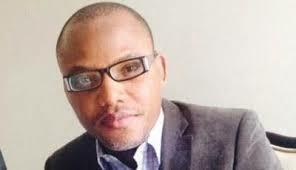 We urge you to retrace your steps and reinstall Radio Biafra London Facebook group”, the group said. In another development, IPOB has lashed out at Igbo elders for associating with its planed All Igbo Summit scheduled to hold in Uturu Abia state in November. Vanguard reports that in a statement signed by Mr. Emma Powerful who is the media aide of the pro-Biafra group, it said it was not in support of the summit and insulted the elders who it said are only concerned about what they can get from Abuja. IPOB insisted that Nnamdi Kanu was its only recognised leader and that the quest for Biafra was its only focus.